USB cables are one of those accessory types that divide opinion. 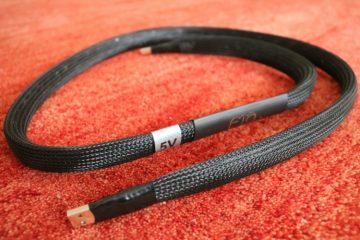 There are plenty of music lovers that do not believe that USB cables could or should make a difference at all. From personal experience, however, I can attest to the fact that they most surely do. I’ve not carried out experiments comparing USB cable length, but just like analog cables, USB cables can have a certain “sound” that varies from brand to brand. There are warm and smooth sounding brands and clean, articulate sounding brands, and really anything in-between. Just why this is possible? This is subject to much debate and I don’t have an answer to that I’m afraid. 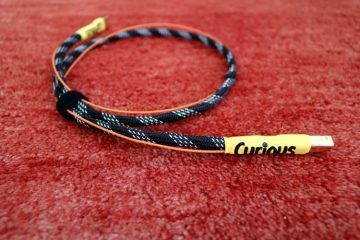 Mad Scientist Audio doesn’t really offer any explanation but they did notice that when making a 2-meter cable on request for a reviewer (cough – that would be me – cough), that this cable sounded better than the 1-meter cable. 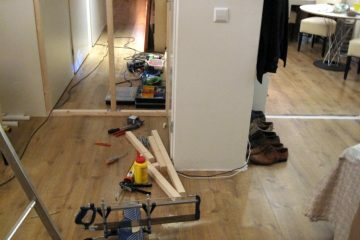 They carried out further experiments with other lengths and it quickly turned out that the 2-meter length sounded best. There is some more interesting info about this on their Mad Scientist website so be sure to check that out. Me, I don’t really care why. It’s easy to hear. 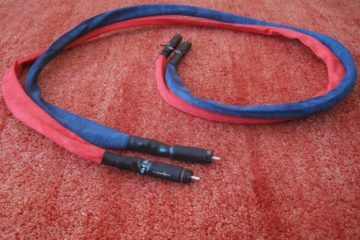 And more expensive cables are not always better, sometimes it’s more a matter of different, rather than better. But still, that can be useful, as it allows for system matching. 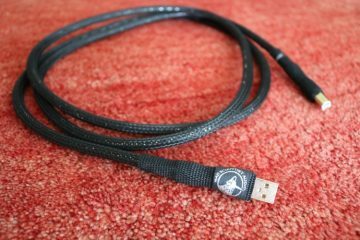 The Heretical USB cable as reviewed is $199 and while that is certainly more than a typical standard USB printer cable costs, as far as high-end USB cables go, it is actually priced very competitively. 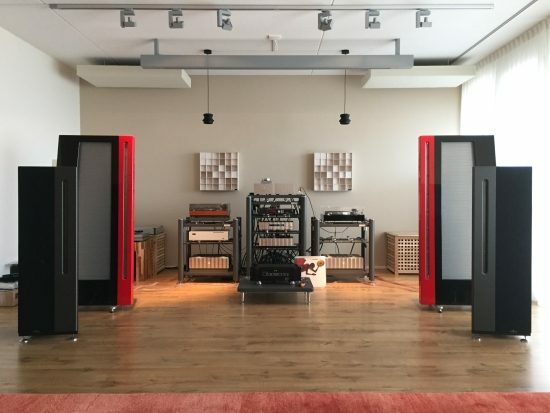 The digital side of my system (also at this time, this is perpetually in motion) is based around the Jeff Rowland Corus + PSU preamp that for this application feeds the Rowland model six mono’s that in turn feed the fully refurbished Apogee Duetta Signatures. 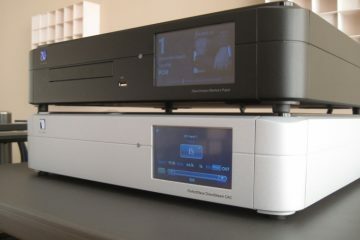 Source, in this case, is Roon running on a standard Windows PC, streaming via Roon RAAT protocol to an AudioAanZee Reference Flow music server with Euphony Drive. My reference for the last couple of years has been the 699 euro AudioQuest Diamond USB. In earlier years I have had a lot of benefit from other cables, as they catered to enhance those particular systems. Ever since my music server was on par however and certainly while I used Apogee Divas the Diamond has always worked splendidly, and there were not many other USB cables that I found to challenge it. If they did, then usually they did one thing better and another worse. And now along comes the Mad Scientist Heretical. The name kind of almost gives it away alreay, doesn’t it. Coming from the AudioQuest Diamond USB, the Heretical USB provided a different perspective, as expected, but it did not sound as I expected. Looks can be, and in this case certainly are, deceiving. 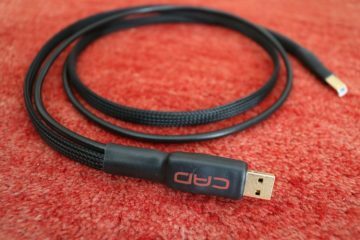 Looking at the Heretical USB cable I was instantly reminded of the Elijah Audio Quad Braid USB cable that had worked so well for me back in the early days of streaming, but tonally these two cables could not be more different. Rather than being super-smooth and relaxed, the Heretical USB provided a solid and energetic performance with full tonal color, but every bit as lively as the AudioQuest Diamond, perhaps even more dynamic. The Heretical USB not only sounds fuller and timbrally more convincing but also has a deeper soundstage, with performers more inhabiting their own space in the soundstage not only left to right but also in the depth plane. Decays such as subtle reverb on vocals also seem more distinct, lingering on for longer. It was a bit like switching on clock link on a Wadia transport and DAC or using recent product examples, switching from SPDIF to I2S on a PS Audio DMP/PWD combination. Listening to it more, and swapping back and forth (while shutting down the server to avoid damaging the Bricasti’s USB port) it’s clear that it provides a considerably more powerful delivery than the AudioQuest, with a more solid feel to it. In that respect, it reminds of the Wireworld Starlight USB, and the KingRex Unanimous, which is based on a Wireworld cable. But although very solid, the sound also has a light and free touch to it, more floaty in the midrange, which makes for a more analog feeling. But importantly, without resorting to any kind of softness or blur. The AudioQuest is quite clean by comparison, but it has a nice airiness and light-footed transparency to it that I also appreciate. Depending on the system that it is used in, one or the other could be a better match. 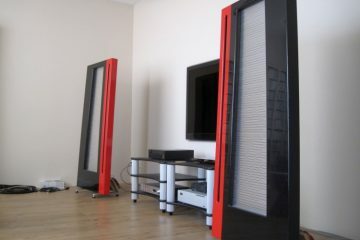 For example, the AudioQuest worked best with my previous speakers, the Apogee Divas, because they tended to sound overly relaxed, and tonally full enough of their own. The Duettas are much cleaner sounding and really benefit from the added tonal body of the Heretical USB. 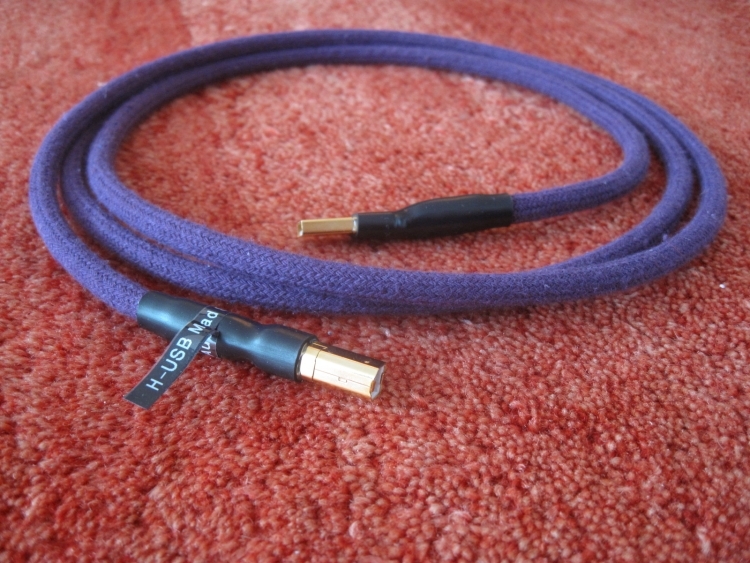 Also, I wish that I had this cable when I was reviewing the Martin Logan Impression 11A for Dutch magazine HVT (a review on this site will follow). I’m certain that the cable would have worked wonders. Comparing with the KingRex, there is indeed a similarity in bass solidity and fullness of color, but there the similarities end. The KingRex has always had an old-school Wadia kind of sound, being unusual solid and sonorous in the bass and lower midrange, and a little dark/rolled off in the treble. It is precisely this characteristic that I now hear again. It is a pleasant rendition for sure, but quite rough, seemingly lower res, and certainly not imaging as freely as the Heretical USB. 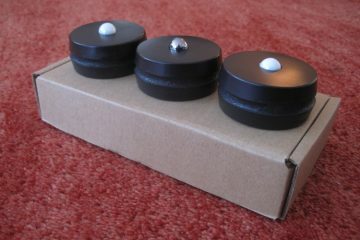 The KingRex worked splendidly when I used the Magnepan MG3.6, neatly enhancing their undernourished bass and thin tonality, while the super-open sounding ribbon tweeters made sure that treble remained in balance, but now that I have a more even-handed system, I much prefer the Heretical. Heck, I think I also would have preferred it if it was available 10 years ago. 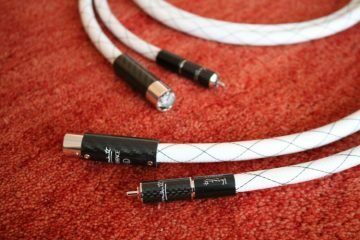 Just like in the analog world, digital cables can be used as tweaking devices, matching the right cable for any particular occasion. 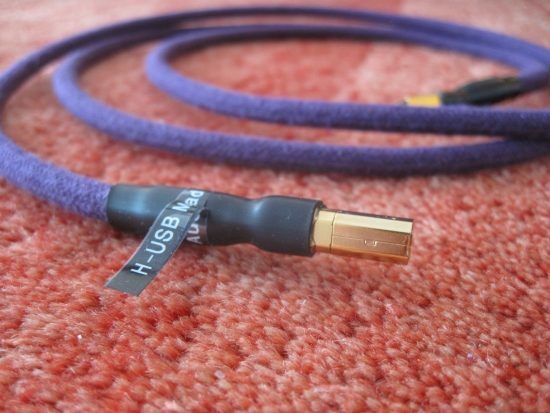 In that sense some cables can be used to tame a harsh sounding setup and make it sound more fluid (Elijah Audio), others can be used to liven up a dull setup (Wireworld and KingRex). I’m not yet sure where to place the AudioQuest, but I am sure about the Mad Scientist Heretical USB. This is not a cable to color your system with. 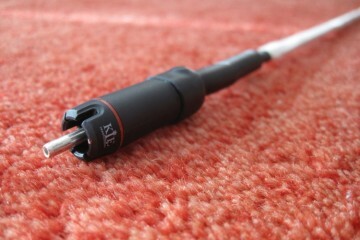 It is a cable that provides more musical pleasure, no matter the tonal nature of the system. I don’t know how the Mad Scientist does it, but it seems that each product that they issue, does something with the sound that once heard can be difficult to live without. If there is any doubt that USB cables can make a difference then all that is required is a quick listen to the Heretical USB. Unless your system tends to the very sonorous already and you are looking to unburden the bass, the Heretical USB is bound to bring a most welcome change to digital music replay. All that, and they are priced very competitively. Not convinced by this review? Just try it out for yourself. With the 30 day money back guarantee there is no risk! I was just looking for a USB cable and thinking of the Audioquest Diamond but now this cable comes along. It depends on what you are after. I think it is fair to say that the AQ is the most neutral USB cable that I know, and depending on the application I still use it. Since you are inquiring specifically about forward/in your face, and seem not to want this, then the Mad Scientist is probably the better choice for you. It is less obviously transparent than the AQ, but more colourful and expansive, and indeed energetic but also relaxed and without being forward in the least. It strikes a very nice balance IMO. You could also try the Elijah Audio USB if you want the most relaxed/smoothest sound. Hi Chantelle, I don’t believe this cable needs any running in. In any event I did not notice any such effects. What’s strange is that I did not find it bright at all compared to stock USB cables or the AudioQuest Diamond USB. I wonder what is different in your situation? Hello Mr. Punter. I want to thank you once again very sincerely. I wrote to you about the difference between the USB input and the SPDIF input of my dac AERIS. Your answers are always accurate and well documented. I tried the USB cable inakoustic yesterday: result very well. With my INNUOS SE and my DAC AERIS, what would be the HERETICAL USB cable (1 or 2 or 3). I do not understand what the GROUND BREAKING USB means. Is this the one you tried ????????? 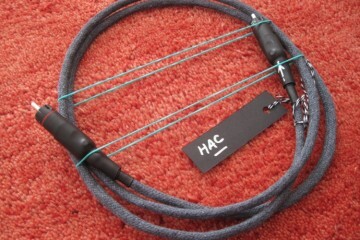 The Ground-Breaking cable is an updated version of the Heretical cable. AFAIK they should be the same with the only difference being that the ground can be switched off for DACs that do not need this. The idea is that the sound can become better that way. I have not yet heard this new version. In any event, for the review I used the Type 1, the “normal” cable. Thanks for this review and extensive information on your site, much appreciated. Also interesting to read about the 2 metre length (pssst, please see 2009 ‘cable length insight’). Hi Fred, always nice to hear that people are enjoying my scribblings. It might well be a factor, but I’ve not carried out any experiments on USB cable length. However, I do hear pretty obvious differences between brands. Thanks for the hint, I’ve now added some of the Mad Scientist info to the Cable Length review.